​'Citizenfour,' the Laura Poitras-directed documentary about former United States government contractor Edward Snowden, is officially in the running for an Oscar. The Academy of Motion Picture Arts and Sciences revealed nominees on Thursday for its big 2015 awards show, and the acclaimed movie about Snowden’s 2013 trip to Hong Kong and his meeting there with Poitras and journalists has been named a contender in the “Best Documentary” category. Glenn Greenwald – the Pulitzer Prize-winning journalist who is featured predominately in the film working with Snowden on reviewing a cache of classified government secrets provided by the former NSA employee – tweeted “Congrats to my brilliant colleague Laura Poitras!!! !” on Thursday. Congrats to my brilliant colleague Laura Poitras!!!! CITIZENFOUR nominated for Best Documentary Oscar! Snowden spoke first with Poitras, then with Greenwald, through encrypted emails while working as a government contractor in early 2013. 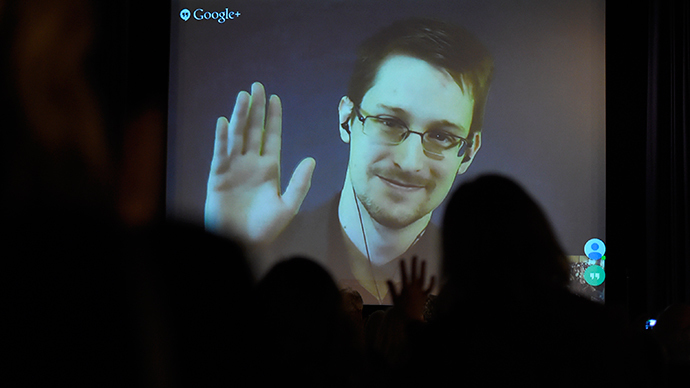 Soon after, he arranged to meet the two in Hong Kong, where much of Citizenfour is set. Snowden spent several days reviewing pilfered NSA documents with the journalists before he boarded a plane that landed in Moscow, where he has since stayed after having his US passport revoked. Snowden, 31, is wanted in the US on charges of espionage related to the theft of the NSA documents – the likes of which have revealed a startling number of the intelligence community’s secrets since first being reported by the media in June 2013.